This tournament quality Wahoo trolling rig comes pre-tuned right out of the bag. We ensure a true troll right from day one. Superior hook/leader hardening process. 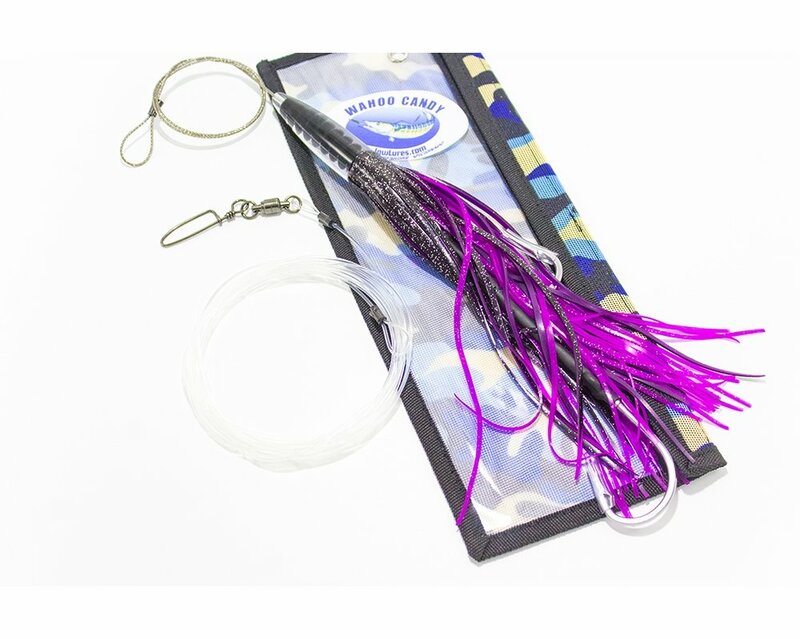 It won�t get bitten off and the lure will stand up to the high-speed stress test when trolling for fast hunting Wahoo. No matter your trolling speed or how choppy the water, these lures will never let you down. Hand rigged, unparalleled in quality and performance. Superb swimming action right out the bag.